Cheraghali, A. (2013). Implications of Pharmacoeconomics for Iran National Health System. Iranian Journal of Pharmaceutical Sciences, 9(2), 81-85. Abdol Majid Cheraghali. "Implications of Pharmacoeconomics for Iran National Health System". 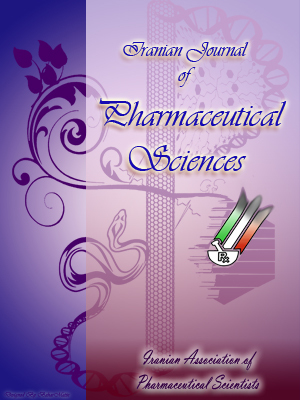 Iranian Journal of Pharmaceutical Sciences, 9, 2, 2013, 81-85. Cheraghali, A. (2013). 'Implications of Pharmacoeconomics for Iran National Health System', Iranian Journal of Pharmaceutical Sciences, 9(2), pp. 81-85. Cheraghali, A. Implications of Pharmacoeconomics for Iran National Health System. Iranian Journal of Pharmaceutical Sciences, 2013; 9(2): 81-85. Like many other developing countries pharmacoeconomics and outcome research and its applications in national health system is a new but promising filed in Iran. Although decision makers of Iran national health system decided to use pharmacoeconomics in the decision making approach several hurdles including lack of reliable national data, lack of expertise and local experience are the main challenges in this filed. Recent activities in training graduate students in the field of health technology assessment in the universities could play a major role in advancing this field in Iran.